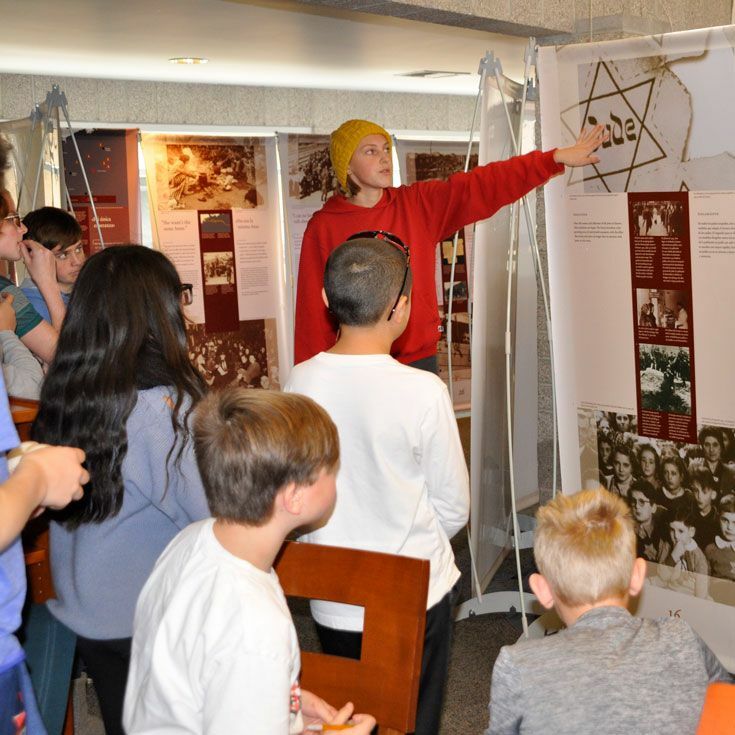 Friday is the last day Bosque School will host: Anne Frank – A History for Today, the internationally acclaimed exhibit that tells the story of Anne Frank against the background of the Holocaust and the Second World War. 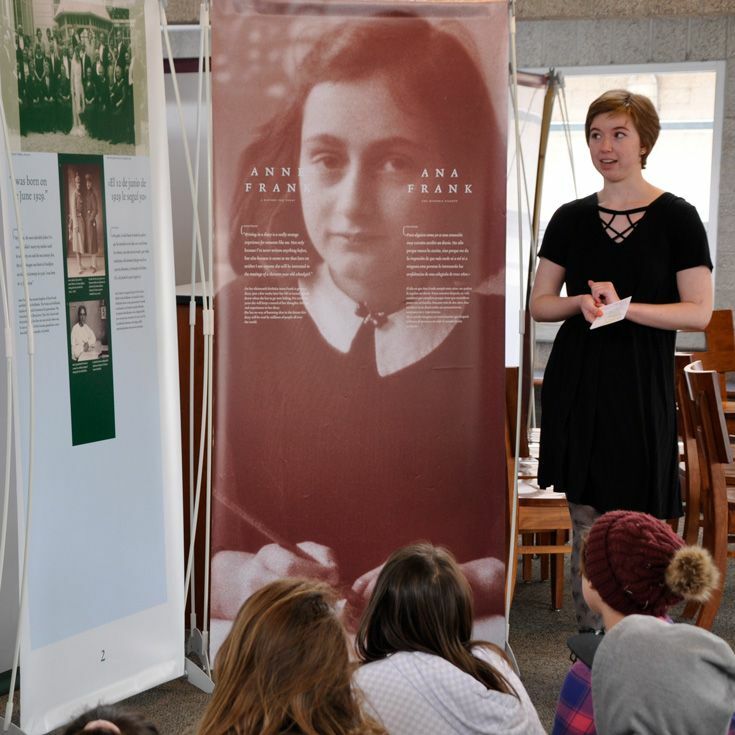 Students have spent the last several days touring the exhibit led by student-docents who received extensive training by the Anne Frank House. “I think everyone comes in thinking they know enough, but you can’t know until you experience a primary source,” said Greer ’19, one of the docents. Greer said she was surprised to learn some of the “nitty-gritty details” provided during her docent training. Human skin being used as lampshades and pillows stuffed with human hair were two details shared during one of her trainings. 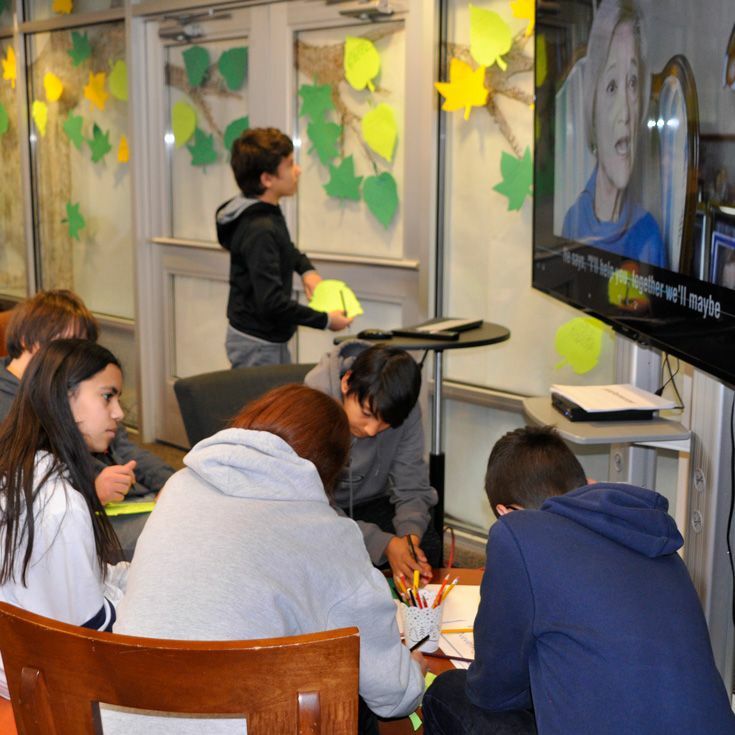 “It’s really important to push through these tough subjects that most of us are afraid of, so we can support each other in learning about our collective identity,” added Greer. 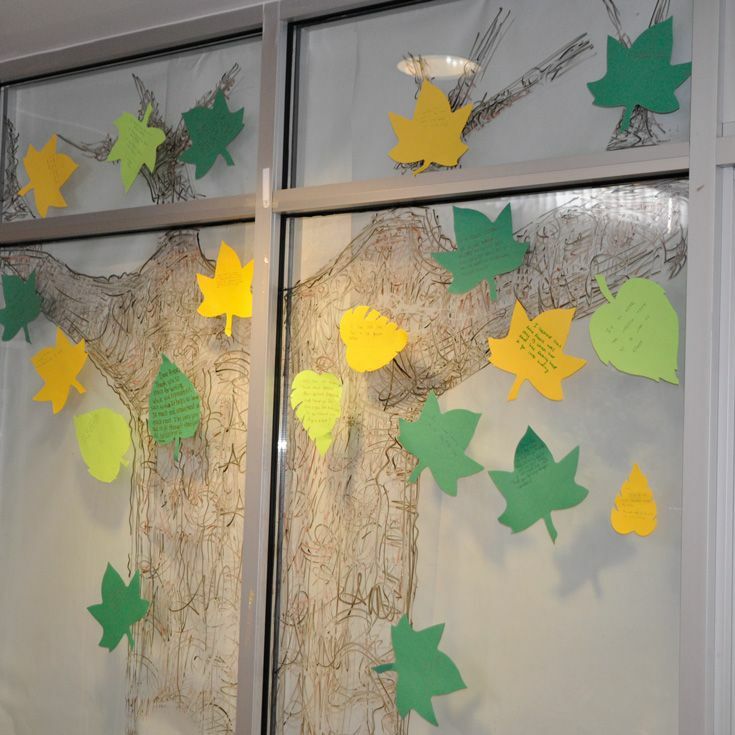 After their tour, students were encouraged think about what they had learned and express their thoughts on paper by placing them on a “Tree of Hope” which was created in the Ford Library. 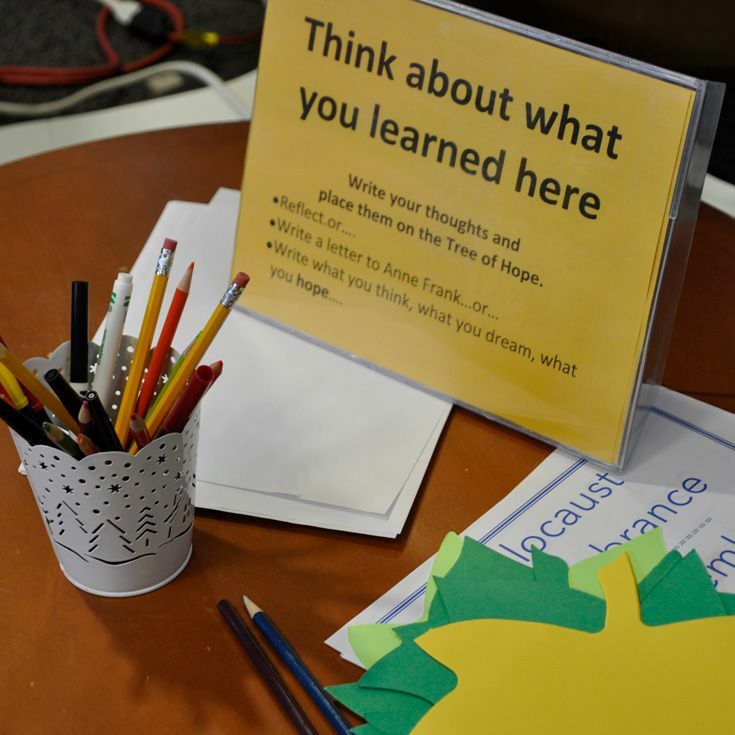 The messages on the Tree include reflections, letters to Anne Frank, and students’ hopes. The final day of the exhibit is Friday, February 1. It will be open during school hours. 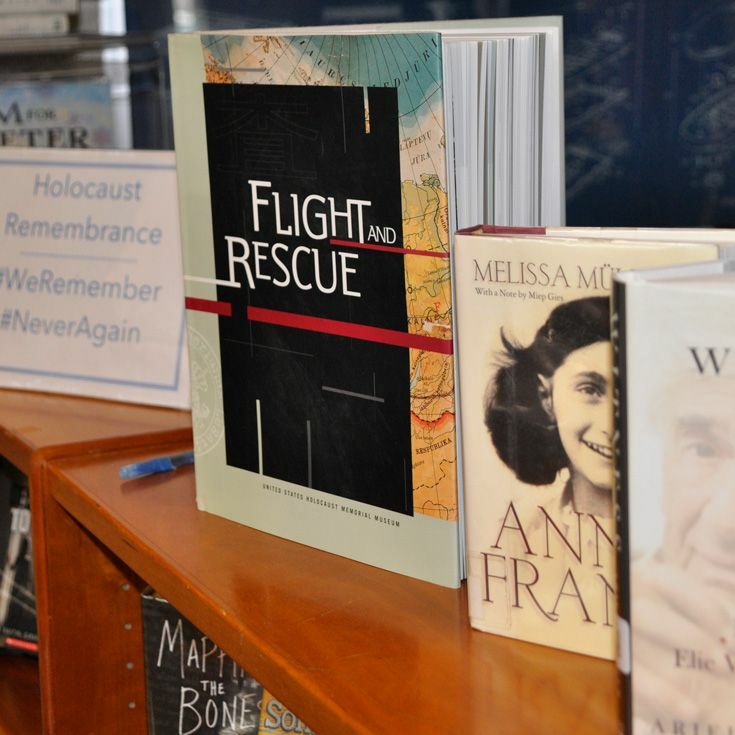 A special thank you to Bosque’s librarian Barb Lazar, upper school instructor Tim Green, and the student-docents for the many hours they dedicated to this successful exhibition at Bosque!